It’s been almost 2 weeks since I last wrote. Even though I had others intentions, life & my illness got in the way. I had a flair up, which took me a week or so to recover from. And it took me another week or so to catch up with my life. It can be very overwhelming playing catch up, while staying current with my life. But I didn’t let it get to me, instead I just went with the flow. It is what it is. Before my illness, things would stress me out if what I had intended or pictured didn’t come out a certain way. It really ruined my day because I let it get the best of me. Don’t get me wrong, I don’t plan on writing once every 2 weeks. I plan on writing as much as I can, hoping for at least 3-5 days a week. And if I can’t then I can’t, I’m not going to stress. Going with the flow isn’t about my failure or inability to write my blog or live my life, it’s actually the opposite. It’s learning how to live with my chronic illness in a way that gives me the best quality of life. It’s my ability to work with the hand god gave me and making the best of it. Instead of stressing about things that are beyond my control, I focused on the things I can control & let everything else go. I embraced the flow of life and the direction it was sending me on. And in doing so, it created more inner peace, which helped me fight my recent flair up. Isn’t interesting how everything works together, how everything intertwines? Today’s post is short and sweet since I am still not feeling well. 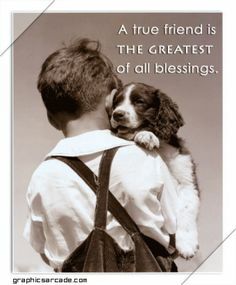 Never underestimate the power of a true friend. During my road to recovery & my weight loss journey, my true friends have been one of the greatest blessings for me. They are my muscles when I am weak. They are my motivation when I’ve lost mine. Within each of us, lies the power to heal or to hurt, to make or break, to be true or to be fake. Remember the old saying, ” you are who you surround yourself with.” What kind of friend are you? What kind of people do you surround yourself with? Intentional living to me means “to consciously live our life in a way that drives our dreams and goals. To consciously make choices for our lives instead of leaving it to chance. Not allowing the world’s distracts take me away from my dreams and goals.” I found a great quote from one of my favorite writers out there. He said, “Don’t just drift through life. Live intentionally and on purpose.” taken from http://www.becomingminimalist.com. In the same article as the quote, Joshua Becker stated that living a simple life, you need to be intentional about it, in which you need the proper foundation & steps. Since I am new to all of this, his steps helped guide me in the right direction. The hardest part of my journey was figuring out how to begin. This is a great place to start. To read more about each step, please click on the link below that will bring you to his article. I strive to live intentional and by doing so I have noticed a few beneficial side effects. Living with as little distractions as possible, we are also able to save our money, save our time & energy, save our “real” relationships, and save the things that are important to us. Talk about some great benefits for being intentional, living a simple life. Where did you begin your journey? What are some other practical steps you could add to the list above? What are some other beneficial “side effects” that you noticed? I would love to hear your thoughts on this. If you meet me in real life, you wouldn’t be able to tell that I am sick and live with a chronic illness. You wouldn’t be able to see how I struggle some days, to do the simplest of tasks because of my illness. How bending over to pick up my kitchen floor, is so painful, I have to have my children do it for me. Or when I can’t move other than from the bathroom to couch and back, because the pain is uncontrollable. How for the longest time, my life revolved my throw up bouts which lasted weeks on end (throw up bouts-I get sick a lot and puke sometimes everyday for a few weeks at a time) because who wants to throw up anywhere but their own home? No, I don’t look sick on the outside, but looks can be deceiving. Unless someone knows me, they don’t know how my days are a struggle because of my chronic illness in some shape or form. I stopped complaining for two reasons: 1. no one wants to hear me complain every single day of my life……..talk about depressing and 2. this is my life, this is what I have been dealt with……..it’s a part of who I am today. Sure, sometimes it gets the better of me and I start to feel sorry for myself and cry like when I am out in public and I get my stomach pains from a flair up, which is similar to Chrone’s disease, and I literally run to the bathroom where I explode. Usually, I have my 2 little ones in tow. Unless you have a chronic illness, or have a close loved one who does, it’s hard to understand what people like me go through on a daily basis. The last few days have been hard for me because I’m having a flair up, but life keeps moving, whether you’re sick or not. Even when I am in the trenches, with little hope, grasping to whatever I can to keep me up, I always try to move forwards, no matter how small my steps are. It’s a hard road to travel on, but it’s one that I am grateful for, since it showed me the way to living a healthier lifestyle. Along the way, I have discovered a few things, that has made my travels a little easier. Below are 5 tips or mental notes to help others out there like me. Once you accept that this is your life, you will be able to move on. For the longest time, I fought that this was how my life would be. I was determined to get my old life back before I was sick, which made things worse for me. Once, I realized that this is how it’s going to be, I was able to move on and learn ways to cope with my illness so I could start reliving my life. This step took me awhile, so don’t expect overnight realization. My aha moment was when I thought I was going to die. Sitting in the hospital all alone thinking about leaving my 5 kids and hubby, really woke me up. I felt like I was given a 2nd chance, and no matter what my limitations are, I am still alive living a healthier happier life with my family. And I try to live each day to the fullest because I know just how precious and short life really is. This is an ongoing learning experience. There will always be things to learn that will make my life easier. When I 1st got sick, I was determined to keep up with everything as if I wasn’t sick. Once I accepted my situation for what it was, I was able to figure out ways to help me get things done like simple chores. For the longest time, I couldn’t bend down much if at all. I couldn’t lift and do my normal household duties. So, my children had to step up and help me. To this day, there is still a lot I can’t do, but my children do it without complaining because they know I physically can not. No matter how alone we feel at any given moment, there are others out there going through the same situation you are. If you are looking to interact with others who also suffer from chronic illnesses, look to local and/or online support groups. For me personally, since my illness is rare and no one has it here in the states, I went overseas to find a support group. There was a small inactive one. So I broadened my perimeters and found a support group that was more general. There are others out there, you just need to find them. It’s important to take care of our whole self, especially if you suffer with a chronic illness. Living a healthy lifestyle isn’t just about eating properly and exercising, it’s about taking proper care of your mind, body, & spirit. Do what you feel is right, to take care of yourself, & never apologize for it. The simpler our life is, the easier and happier to seems to be. Or at least that’s how it is for me. Over the last year or so, I have been trying to simplify all areas of my life. I began by cutting out the negativity that surrounded me including my self talk (which was a game changer on its own), decluttering my house, & putting memories & experiences in its place. Living with a chronic illness is challenging but it isn’t the end of the world, unless you let it. We are stronger than we think, and don’t know how strong we are till we are put into challenging situations. Life is what we make of it, so make it a good one. This misconception is one that I wished I addressed before I got sick. It’s sad that it took me getting sick to get set on the correct path. But it is what it is. All I can do now is educate my family, hoping they don’t follow my unhealthy path to sickness. Eat a Low-Glycemic Load DIET — Lean animal protein (chicken, fish, and eggs), nuts, seeds, beans, vegetables, fruit, and small amounts of non-gluten grains. Power Up with Protein — Start the day with protein and at each meal. This makes your metabolism run hotter and cuts hunger. Incorporate eggs, PROTEIN SHAKES , nuts, seeds, chicken, or fish. Don’t Drink Your Calories — No sodas, juices, sweetened drinks and no more than 3-4 glasses of wine or alcohol a week with meals. Avoid the Deadly White Powder or Flour — Including gluten-free flour products. Even whole grain flour acts like sugar in your body. Beware of Frankenfood — Factory-made foods are often science projects with fake ingredients including MSG (which causes ravenous hunger and is hidden as “natural flavoring”), high fructose corn syrup, artificial colors, preservatives, and chemicals. Eat From the Right Plant — If it was made in a plant stay away, if it was grown on a plant it is probably okay. Get an OIL CHANGE — Eat omega-3 fat-rich foods including sardines and wild salmon and avoid REFINED and processed vegetable oils except olive oil. Get Going and Get Strong — Both cardio and strength training are key. Cardio builds fitness and IMPROVES metabolism, and strength training BUILDS MUSCLE so you won’t be a skinny fat person. Take Supplements — They grease the wheels of your metabolism and help BURN CALORIES and balance blood sugar. A good multivitamin, fish oil (EPA/DHA,) and vitamin D do the trick for 95 percent of people. Today’s topic (simple living) is something I find very interesting and is something that has been a priority of mine more and more as the years go on. I have read a ton of books and sites regarding this topic. Over the last 4 years, I have really acquire a big interest in it. Is that a sign of maturity? Am I finally growing up? Ya, maybe. But last summer reinforced my interest with living a simple life. Why? Because it was the 1st time in my life & our family’s life, we are able to go out on numerous adventures further away, actually go on a vacation, be together, and had a blast creating memories. Sure we couldn’t eat gourmet meals when we went on one of our adventures, but no one cared while we were at the Cape playing at the ocean or when we were at the Patriot’s game, not buying beer. It was just amazing being able to travel & go on adventures memorable together. This is what we will remember and talk about for years to come, not what new thing we bought. This was my wake up call saying STOP with all the unnecessary items and start putting our attention to spending time with one another & putting our money towards meaningful things, not the next best material item. I want to travel the world with my family. I want to see as much of the world as I can and expose my children to as much of it as possible. Why can’t we go to Ireland for a few weeks? We couldn’t before, because it wasn’t important or a priority to us. Having what I now call “junk” meant more. It’s sad but true. Now, I am finally at a point in my life, where I can concentrate on what is important to me. I can start making an effort with continuing my “stepping stones,” in order to reach my ultimate goal: spending meaningful quality time with one another while exploring the world around us. There are numerous things you can to along your journey to make life simpler, but where do you begin? For me that was the hardest question to answer. Once I found my beginning, it was clear sailing from there. Remember progress may seem slow. There isn’t any need to rush yourself, since this is about what you feel is in the best interest of your family. This isn’t a race or competition. And by all means NEVER compare yourself with others…………we each are living a unique life that is exclusively ours. You can’t compare apples to oranges. Before you take any steps toward living a simpler life, you must first be honest with yourself and figure out where your priorities are. The best way for me to do that, was to list what was important to me now (in the moment) according to things around me (what story does your home say) & things I have bought VS what I really thought was important. For example: based on things around me it would seem that electronics are important to us, but in reality they aren’t. We could live without all of it, if that meant we could do activities & vacations to amazing places together. If the whole family isn’t on board, it will make for a harder transition, if you are even able to. The best advice I can give you, is to have a family meeting, have the entire family there, sit down, and discuss everything together. No matter how young the kids are they should still be a part of whats going in on the family. You may just have to put it in their terms, so they can understand. It seems nowadays everything is a race, competition, or popularity contest. Living a simpler life will only work, if this is something you truly want and you are doing it for the right reasons. If you want to change your lifestyle because all the other moms you know are doing it, it’s obviously isn’t the right reason. And the change won’t last long. Remember, you can have a simpler life by doing a little or going to extremes. For us, the 1st big step, is getting rid of the unnecessary clutter in our lives that don’t matter and getting rid of it all (I am talking about physical possessions & mental baggage.) Clutter is clutter, which needs to go. Nothing stays the same, NOTHING. Everything changes, which is a fact of life. No matter which season of your life, you are in, don’t forget to enjoy the little things. Its the little things that you look back on and realize just how big and important those little things were. Enjoy yourself and who ever you choose to surround yourself with. Our world today is so attached to material possession, we encourage each other to get more and more through so many different avenues. Seldom do I see any ad or commercial saying ” less is more”. We as a whole, have emotional attachments to our possessions. I know I did for the longest time. And as soon as I started cutting my emotional attachments, I realized just how much time I spent on things that weren’t important to me. Once you realize what you don’t need around you, start getting rid of the items either selling, giving away, or throwing it out. Can’t do it all at once, set a specific number like 3 and get rid of that many things a day. When getting rid of those items, make sure you really do. Don’t just throw them in your car or put it in the trash, if the item is reusable, give it to a place or someone who can use it. Recycle it. And don’t forget to get the kids involved and explain everything you are doing and why. This is a great chance to teach them, less is more. Just like with anything of importance, it takes time. Nothing happens overnight but after working hard slowly towards your goal, you will reach your destination. Remember: slow and steady wins the race. What are some other steps you can take or have taken towards living a simpler life?